Nokia, soon to be part of Microsoft, is continuing its efforts to regain lost relevance — and market share — in the mobile phone market with a new high-end smartphone and its first foray into tablet computing. 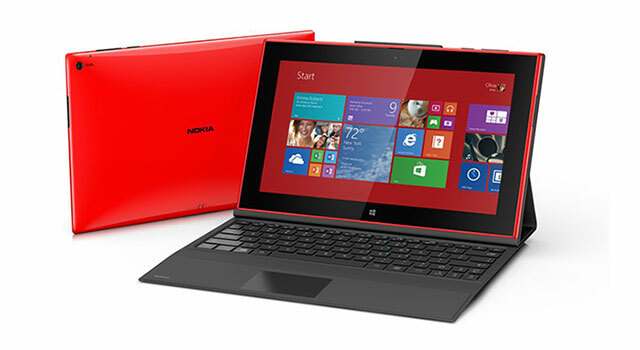 The tablet, a 10,1-inch Lumia 2520 with full high-definition (1080p) display runs Microsoft’s Windows RT operating system. The company has also announced its first “phablets”: the 6-inch Lumia 1520 and 1320 and, in collaboration with Microsoft, has introduced a third row of “live tiles” taking advantage of the added screen real estate. World Wide Worx MD Arthur Goldstuck says Nokia’s first move into the tablet and phablet markets represents an “interesting approach”. Firstly, the tablet is aimed not at the top end of the market, but rather the midrange, which he believes gives it a “real differentiator”. At US$499, it costs the same as the entry level iPad from Apple. Interestingly, the Lumia 2520 is a direct competitor to Microsoft’s own Surface 2, which has similar hardware, but which is $50 cheaper. The Nokia has a 1080p display, quad-core 2,2GHz Snapdragon 800 processor, 2GB of RAM and 32GB of internal storage — double the storage capacity of the entry level iPad. Meanwhile, Nokia’s two new 6-inch high-end devices, the Lumia 1520 and 1320, are the company’s largest smartphones yet, and the biggest Windows Phone devices, too. Both are made from polycarbonate in the Lumia range’s trademark range of bright colours, as well as black. 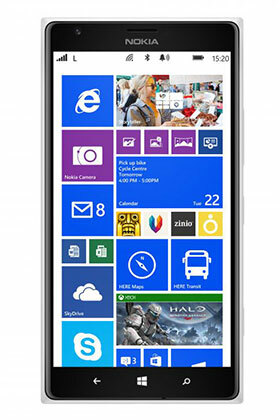 The 4G/LTE-powered Lumia 1520 is the first Windows Phone device with a full 1080p display, with many viewing angles and a screen that can be used in direct sunlight. It features a massive 20-megapixel PureView camera with an enhanced sensor and optical image stabilisation. It has 32GB of internal storage and can be expanded up to 64GB RAM. The new Nokia Camera application lets users swipe between three modes – camera, video and smart camera. The last mode, which offers manual controls on the screen, was first included on the Lumia 1020, with its 41-megapixel camera. It also features rich recordings, with four microphones capable of recording directional-stereo audio, and new apps such as Nokia Storyteller and Nokia Beamer. Storyteller displays pictures and video in the form of stories, using location-based information displayed on Nokia’s Here Maps. Beamer lets users share their screen remotely with anyone who has an Internet connection, including PC users. After Samsung proved it had a strong niche in the market for so-called phablets, it spurred other manufacturers to start producing their own such devices. “It may be two years later, but given the other challenges facing Nokia, it has come to market with a compelling set of propositions in those categories [tablets and phablets],” says Goldstuck. Meanwhile, the midrange Lumia 1320 has a lower-resolution screen, a cheaper camera, slower processor and less storage — 720p display, 5-megapixel camera, dual-core Snapdragon 400 processor and 8GB of flash storage respectively. As with the 1520, the microSD slot can be used to add up to 64GB of extra capacity. The 1320 also includes support for 4G/LTE networks and features the new Camera, Storyteller and Beamer apps. The Lumia 1520 will cost $750 out of contract and will be available in selected markets in the fourth quarter of 2013; the 1320 will fetch $339 and will go on sale in the first quarter of next year, again in selected markets. Nokia South Africa says it can’t say yet when any of the new devices will be available locally. Nokia on Tuesday also announced three low-end Asha handsets, the 500, 502 and 503, starting at $69. “The most impressive thing about the Nokia announcements was the fact that they weren’t only trying to dazzle the market with the brightest and biggest Lumias yet,” says Goldstuck. It refreshed the Asha range, which is significant for developing markets where Nokia is traditionally strong, he says. “Unlike BlackBerry, which has yet to come up with viable updates for its core users in developing markets, Nokia has continued to build on that strength,” Goldstuck says. Stuff magazine editor Toby Shapshak says “it’s about time” that someone produces a Windows tablet that works as advertised as Microsoft’s own Surface tablets have been a “disaster”.